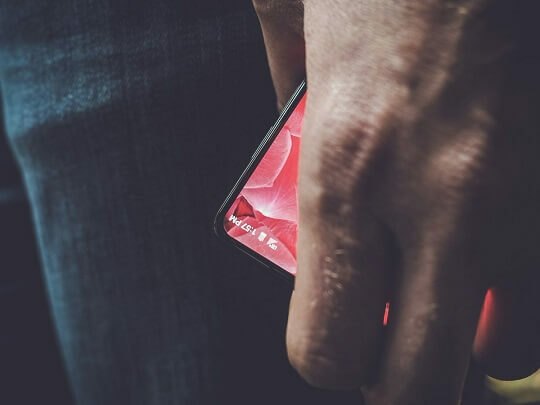 Android co-founder Andy Rubin, who is now busy with his own company called Essential, has got something in his hand that looks very promising—a high-end smartphone with an almost non-existent bezel. On his Twitter post, Rubin shared his excitement about how the new device is "shaping up," accompanied by a glimpse of said smartphone. The unnamed device will be Essential's flagship smartphone. For those hearing this company for the first time, Essential is the company Andy Rubin started when he left Google. It is armed with about 40 people working on a suite of consumer products. The new bezel-less smartphone will most likely get into people's hands sometime in the middle of the year after the launch of Samsung's Galaxy S8 and S8+ and before Apple introduces the iPhone 8. Based on the icons on the top right corner of the handset, we assume that it will run on Android OS. Looking at it, it also reminds us of Xiaomi's Mi MIX, which has an end-to-end display and a ceramic body. Not much have been revealed about the new premium smartphone yet. What we know, though, is that its corner is enough to stir up interest in the tech industry.